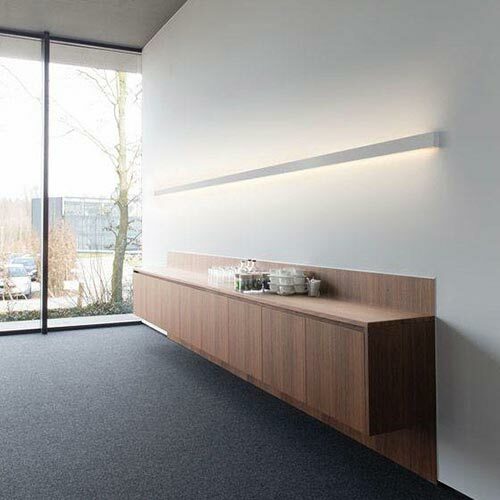 The indirect lighting is being increasingly used for the exterior and especially for interior ambients, in residential and commercial projects like hotels, retail shops or offices, as it provides a pleasant ambience and allows you to frame the room with light. 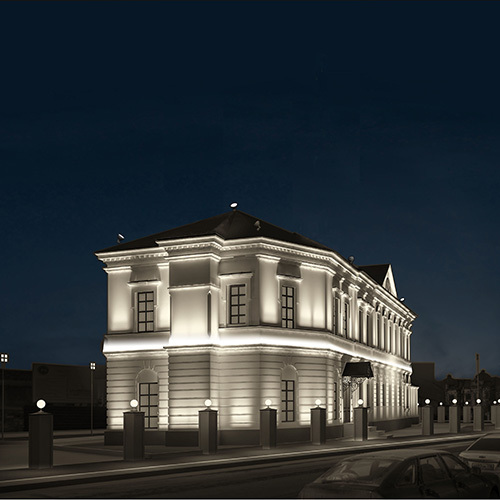 Eleni Lighting produces indirect lighting cornices for interior and exterior use, which are ideal for creating exciting and unique ambients with innovative lighting design solutions as cove lighting, wallwashers, up & down linear lights, walkway lighting and others. 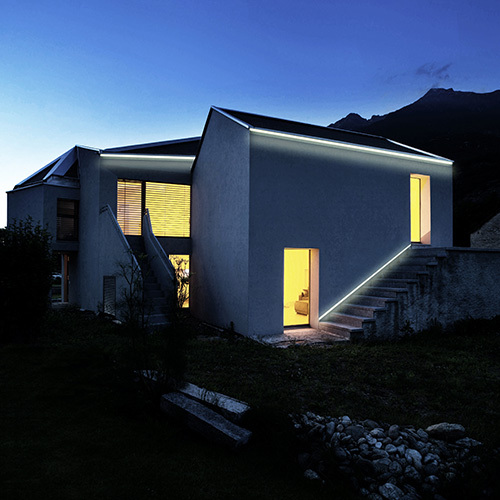 With Eleni Lighting indirect lighting cornices, the source of light, which is composed by a led strip, is hidden while the light is spread through the ambient via reflection on the ceiling, floor, or wall. 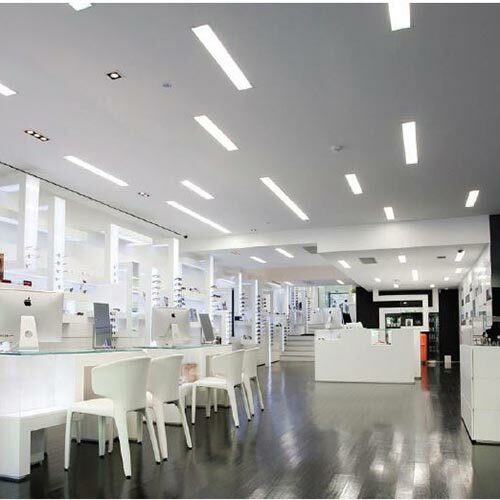 The client is free to choose whichever type of led strip, as our cornices may be used with any type of led strips (max width 17 mm), warm white, or cold white leds or even RGB. Our decorative indirect lighting profiles create beautiful and indirect lighting lines which give the ambient a sense of spaciousness. 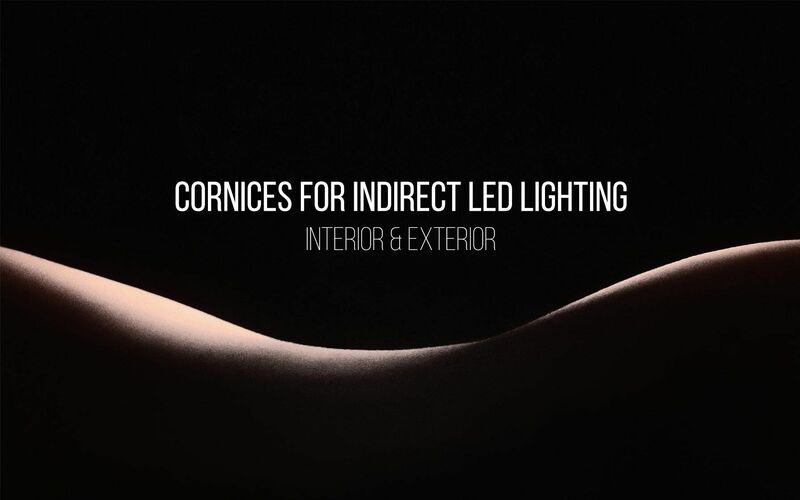 Eleni Lighting cornices are easy to install and finish.